Herpes comes in different variations. In one type of the infection, the virus could remain within your body without showing any signs of infection for months or even years at a time. When the symptoms as a result of the virus manifest themselves, it is regarded as a herpes outbreak. This manifestation occurs as a consequence of the virus being reactivated by certain factors. These factors are called triggers and could include fatigue, stress, menstruation or even injury. he outbreak of this virus varies from individual to individual. Some people can even go on to live the rest of their lives without suffering from a single outbreak. Alternately, some people cannot go as far as a fortnight without experiencing the painful symptoms associated with the reactivation of the herpes virus in their systems. Fortunately, there are various ways you can deal with your herpes outbreak. We discuss these means in the tips that follow. Regardless of the frequency of your cases, these tips can help you to carefully manage your herpes outbreak and emerge from it successfully. With time, you will be able to handle your herpes outbreaks easier. During your outbreaks, you are likely to experience pain as a result of the raw sores on your body. You could also have aches from other parts of your body. Taking medication such as ibuprofen, acetaminophen and aspirin can go a long way in reducing the pain you experience which in turn decreases your overall discomfort. Additionally, with the lesser pain, you can continue with your daily activities with some ease. Maintaining proper hygiene is crucial in keeping your outbreak in check. Wash your hands from time to time, even when you think they are clean. This will reduce chances of infecting your sores with germs. Focus primarily on washing under your fingernails as this area harbors a lot of bacteria. To ease the feeling of discomfort, apply cool compressions over your sores. You can also use ice packs over your genital area. The cooling effect will reduce inflammation over the sores and ease your pain. As such, moving around will be easier, and you can carry on with your day’s activities to an extent. Do not feel your herpes sores as this could further aggravate your herpes outbreak. Additionally, avoid all sexual contact until symptoms of your herpes outbreak have completely diminished. Sexual contact will not only cause you further discomfort but could also trigger the outbreak further through friction over various areas. Contact on sores also includes bandaging them, so avoid this altogether and let them heal in the open air. Stress is a prime factor in herpes outbreaks. In as much as having an outbreak is a high-pressure and consequently stressful situation, try and keep yourself calm. Do not dwell on any situations that could cause you stress during your outbreak. Additionally, avoid conflict all through your herpes outbreak so as to reduce the stress applied to your body. Adopting a regular fitness program and making healthier dietary choices could go a long way in alleviating your stress. As such, improve your overall lifestyle and your habits so as to eliminate most stressful situations. From the above tips, you can realize that proper hygiene, avoiding stress and having the required pain-relieving medication close by are fundamental in managing your outbreaks. 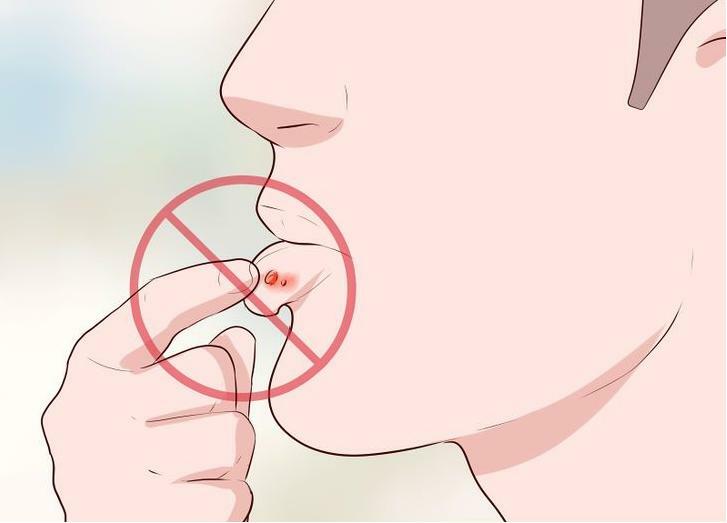 Practicing self-control, as is the case when it comes to handling sores as well as sexual contact, will ensure you can deal with your herpes outbreaks easier. By practicing these tips, herpes outbreaks become easier to go through. You are not alone. If you want to discuss your situation with our STD counselor or just want to talk with the people who are in the same situation, lick here to check with our STD counselor or join our STD forum today!